If your home or business is more than (10) years old, especially if you are not the original owner of the property, the National Fire Protection Association (NFPA) recommends having the electrical system evaluated by a professional. If you have circuits overloading, meter sockets corroded, or service cables frayed, those problems won’t fix themselves! Upgrading your wiring and equipment now, before there is a catastrophic failure, is the best way to avoid a serious problem and minimizing the cost. 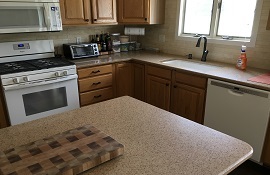 One of the most popular ways to update your home is to make improvements to your kitchen or bathroom. Let us help you with the process of planning for wiring of new appliances and new lighting installations to showcase your project! 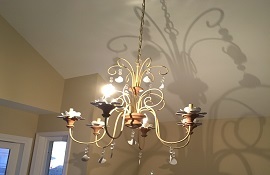 Are you experiencing issues with your receptacle outlets, switches, or flickering lights? Let us troubleshoot and identify the cause, and correct the problem before safety is compromised. 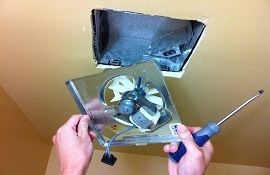 Is your bathroom or attic exhaust fan making noises, or just stopped working altogether? These fans are a very cost-effective way of reducing energy costs of your interior spaces. 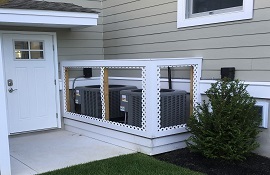 Whether you need a replacement attic fan motor, or a new low-sone (quiet) bath exhaust, we can provide solutions for comfort and energy savings. New technologies have offered new options for heating and cooling systems, and many require new power wiring to the equipment. 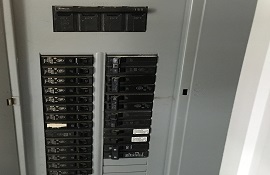 Few HVAC contractors are licensed to provide the wiring and electrical safety devices that their new equipment requires. Whenever you need a licensed electrical contractor, we can provide the expertise, permits, and inspections to be certain that all codes and standards are met and your installation is safe. We understand that the electricity to your home or business is a high- priority necessity, and we are uniquely qualified to provide you with a worry – free automatic standby generator. We are certified by Generac to provide Turnkey Sales and Installation, plus Preventative Maintenance Agreements by Generac-certified technicians to protect your warranty for all Generac Generators. 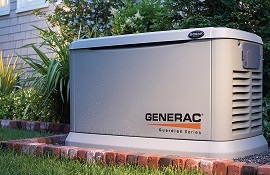 Contact us today to find out how affordable having a Generac automatic standby generator is!